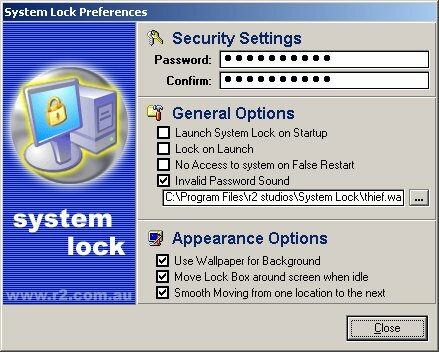 System Lock allows you to lock your desktop so that no other users may use your computer. Windows NT/2000 already comes with this capability, but what about Windows 98 & ME? System Lock is no longer under active development and has been Archived.